Krycklan is a unique research site for studying the relationships between hydrological, biogeochemical, and ecological processes in the same ecosystem . It is one of the most instrumented and monitored watersheds in the world. Krycklan is a 6780 hectare watershed catchment composed of a mosaic of wetlands and lakes interspersed throughout the forest landscape. It is located in the boreal region of northern Sweden in Västerbotten county. Krycklan is a tributary to the national Vindelälven River that starts in the mountain, crosses Sweden, and enters the Baltic Sea near Umeå city. Measurements of hydrology, climate, water, and soil water chemistry have been going on in Krycklan for over 30 years. Data is collected and gathered in The Svartberget open database. The research done at Krycklan connects terrestrial and aquatic systems and focuses on the biogeochemical composition of small streams and their resistance to changes. Some examples of research questions addressed here are: How is the water quality in small streams affected by the snow melting in spring? How does the chemistry change when streams flow together and form larger systems ? How are the streams affected by air pollution, forestry, and climate change? What is the natural variation and what is controlled by humans? Thanks to the large size of the catchment area, modeling can be done on the small streams and catchments as well as on rivers and landscape. The goal of the studies at Krycklan is to create better methods and models to predict how nature will look in the future under changing conditions such as a warmer climate. Over 50 ongoing field trials involve several hundred scientists from all major universities in Sweden as well as research teams from around 30 countries. Research has resulted in nearly 500 scientific articles based on data from Krycklan. Collaboration occurs within the Swedish Infrastructure For Ecosystem Science SITES and the Integrated Caron Observation System ICOS Sweden. Read and download The Krycklan Field Guide. 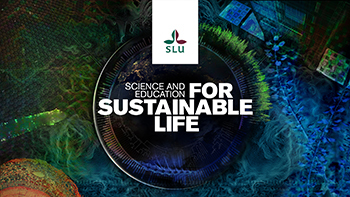 • Participation in the graduate course " Watershed Ecology and Biogeochemistry "
The overwhelming majority of analyses performed for Krycklan have been and still are done at the SLU Stable Isotope Laboratory (SSIL) in Umeå.